The structure indicated is the talus bone of the foot. 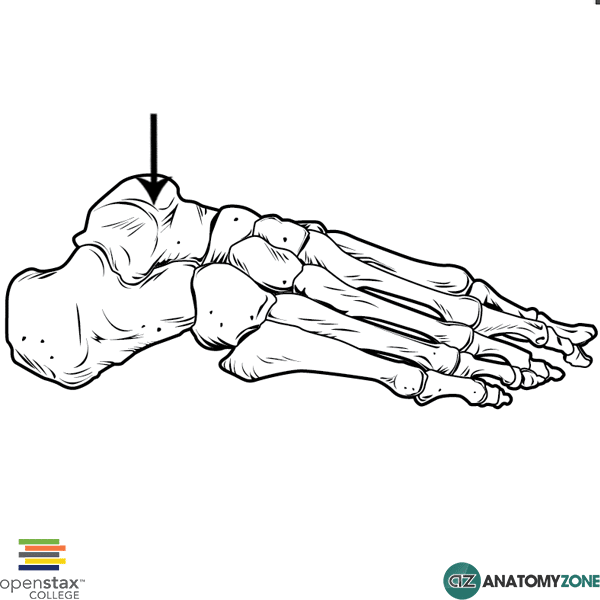 There are two bones in the proximal group of tarsal bones: the talus and the calcaneus. 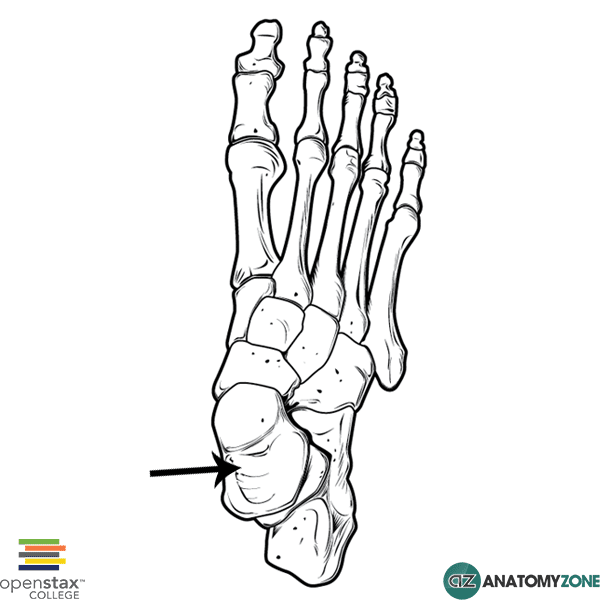 The calcaneus is the largest tarsal bone and forms the heel through its posterior projection. The talus articulates with the medial malleolus of the tibia and the lateral malleolus of the fibula to form the ankle joint. In addition, it articulates with two other tarsal bones: the calcaneus inferiorly, and the navicular anteriorly.